30.1 x 24.3 cm., 11 ? x 9 ? in. Anna Deacon married George Courthope Esq. Of Whiligh in January 1841. 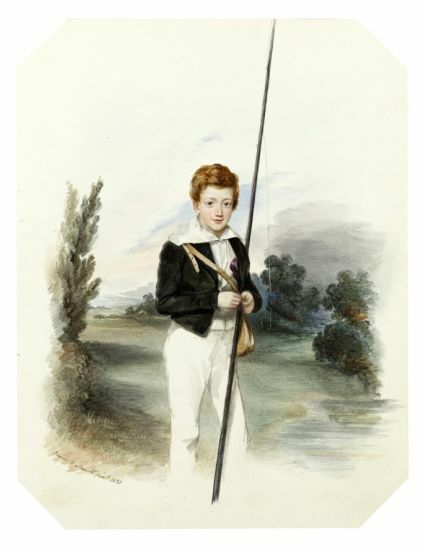 She was the eldest daughter of John Deacon of Mabledon, Tonbridge. Deacon made his fortune in Deacon?s Bank and bought Mabledon from the Burton family in 1828. 33 x 24.6 cm., 13 x 9 ? in. 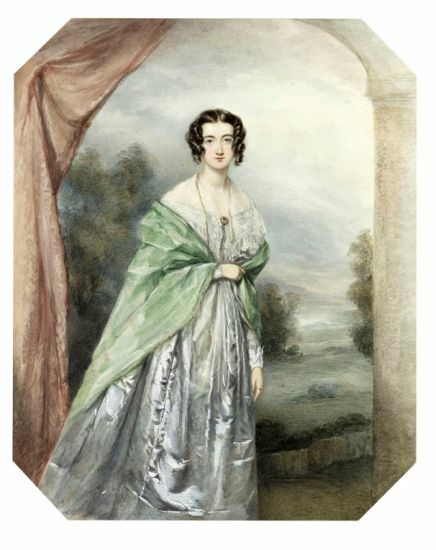 Frances Deacon later married Col. Arthur Ramsden of Steneness, Ashurst. 33.5 x 25.7 cm., 13 x 10 in. William Deacon married Miss Mary Sophia Currie. 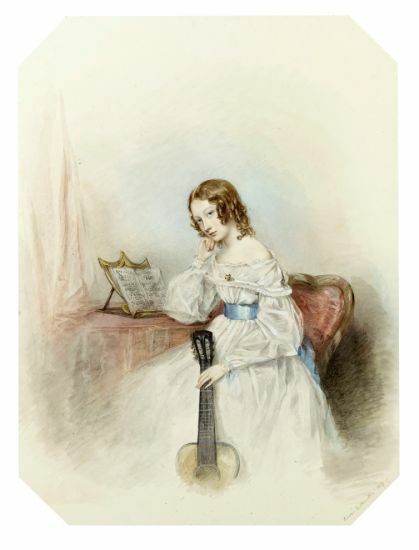 Lady Sophia Deacon died, aged twenty-one, in 1852.